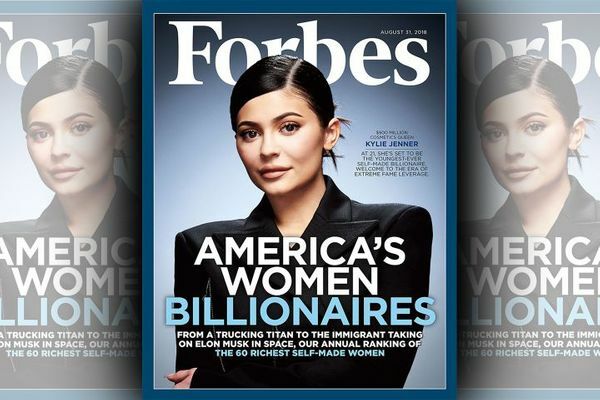 Kylie Jenner has been unveiled as the cover star of Forbes’ magazine 60 richest self-made women in America issue, with the magazine highlighting that she will soon become the youngest self-made billionaire in the US. Jenner, who amassed her fortune thanks to her successful Kylie Cosmetics company, is valued at $900 million, with the 20 year old currently number 27 on the list. Kardashian West also made the list, however, was ranked further down coming in at joint 54th alongside author Danielle Steele and businesswoman Janice Bryant Howroyd, with an estimated wealth of $350m.